The Foster Library at the Lincolnshire Archives has a Bibliography of Heydour holdings. You can also perform a more selective search for churches in the Heydour area or see them printed on a map. The present Anglican parish church is dedicated to Saint Michael and All Angels and contains monuments to the NEWTON family. It was built in Norman times. Kelby (also: Chileby or Chillebi) was a chapelry of Heydour. 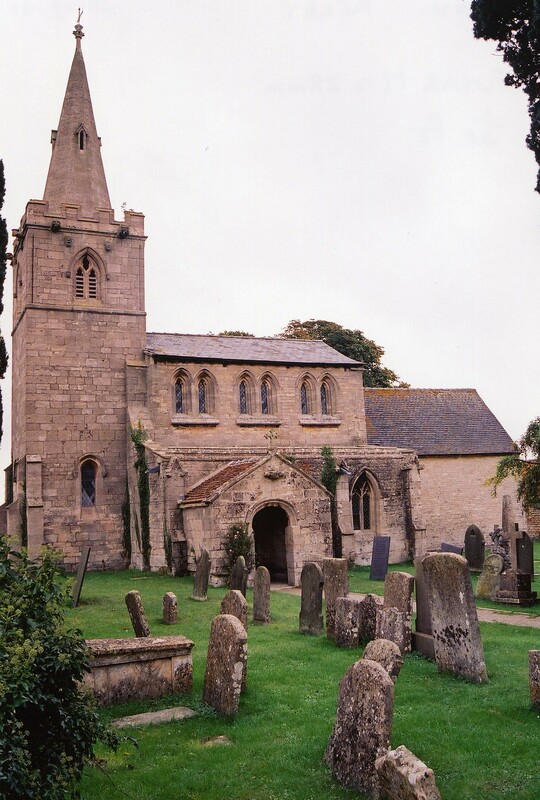 The Anglican church in Kelby was dedicated to St. Andrew and was built in the Norman era. The tower and spire were rebuilt in 1850. The registers are included with those of Heydour. Photographs of the Anglican Church at Heydour and the one at Kelby are at the Wendy PARKINSON English Church Photographs site. Terry BUTCHER has a photograph of St. Michael's Church on Geo-graph, taken in March, 2006. Parish registers date from 1559 and include Kelby and Culverthorpe. The Lincolnshire FHS has a Loan Library service which has the parish registers on microfiche for Baptisms from 1559 to 1812 and Marriages from 1559 to 1812. Heydour is covered in the National Burial Index (NBI) for 1813 - 1900. Parish registers are on file at the Society of Genealogists, covering 1559 to 1837. The LFHS has published several indexes for the Loveden Deanery to make your search easier. The Primitive Methodists had a chapel here, erected in 1859 and rebuilt in 1899. For information and assistance in researching these chapels, see our non-conformist religions page. 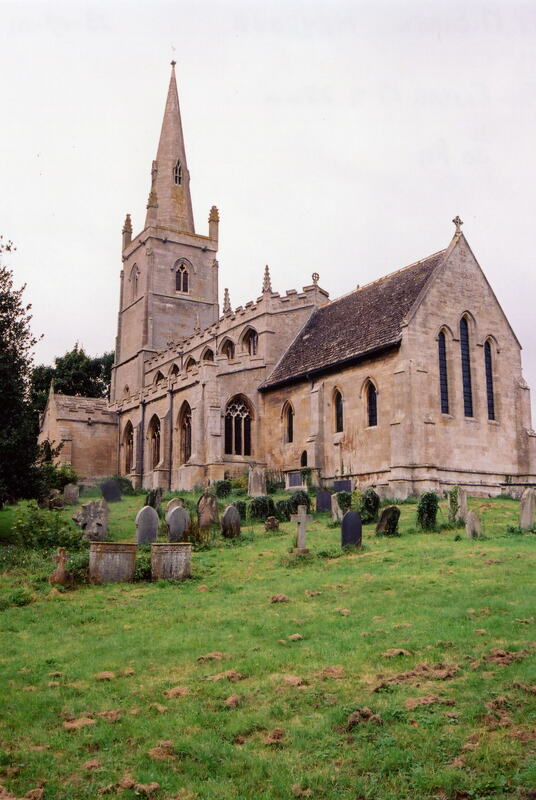 This village and parish lies just over six miles east northeast of Grantham and five miles southwest of Sleaford. Welby parish is just to the west, with Aunsby parish to the east and Braceby to the south. The parish covers about 2,800 acres and includes the hamlets of Aisby (Azeby), Oseby (Ozeby or Oasby), Culverthorpe and Kelby. Take the A15 south from Sleaford and turn west at Swarby or take the A153 east out of Sleaford and turn south at Wilsford. Ask for a calculation of the distance from Heydour to another place. You can see the administrative areas in which Heydour has been placed at times in the past. Select one to see a link to a map of that particular area. Traces of a Roman villa were discovered near Aisby. Ancaster stone, used in the construction of many Lincolnshire buildings, was quarried here. In 1871, the local quarries were leased to Mr. William THOMPSON of Grantham. David HITCHBORNE has a photograph of Meliora's Memorial plaque on Geo-graph, taken in June, 2004. A Millenium Green was established on the Upper Green near Aisby in the year 2000. At last report (2012), the residents of Heydour were looking forward to a new Village Hall funded by a lottery win. The original Village Hall was a First World War Officers' Mess Hut obtained from the Belton Park Machine Gun Corps and extensively modified. In 1841 and 1871, the principal landowner was John Archer HOUBLON. In 1913, the principal landowner was Col. George B. ARCHER-HOUBLON. In a field west of the church was the location of a large mansion (or castle) built in the reign of King Stephen by one of the BUSSEY family, who were seated here until about 1609. Only faint traces remain. Culverthorpe Hall, a building in the Italian style, was the seat of the NEWTON family. See our Maps page for resources. David HITCHBORNE has a photograph of the War Memorial plaque on Geo-graph, taken in June, 2004. The name Heydour is of uncertain origin. The first part may come from the Old English heg or "hay". The village is not listed in the 1086 Domesday Book, but Aisby is. The name Heydour is often listed in old records as Haydor. It also appears spelled as: Hather, Haydour and Heidure. Haydor is the "preferred" spelling of the name today, but both Heydour and Heydor are accepted. The name Oseby is often spelled in a varity of ways, such as Ozeby or Oasby. Locals prefer Oasby. White's 1871 Directory contains: BOOTH, CLOSE, COLLISHAW, DALE, DEEDES, DENNIS, EXTON, HEDWORTH, HOYES, LANE, LONGLAND, QUINNINGBOROUGH, ROLLINSON, SARDESON, SELBY, SINGLETON, SMITH, TAFT, WAKEFIELD, WATERS, WEIGHTMAN, WELBOURN and WILSON. Kelly's 1913 Directory contains: ALDERDRON, COX, CRAWFORD, DALE, KIRK, LANE, LONGLAND, NIXON, ROLLINSON, SARDESON, SELBY, THOMPSON, WAKEFIELD, WARD and WEIGHTMAN. Culverthorpe is in the Aswardhurn Wapentake. It became a separate Civil Parish in 1866. Kelby was a seperate parish in olden times. It became a separate Civil Parish in 1866. You may contact the local Parish Council regarding civic or political issues, but they are NOT funded or staffed to assist you with family hisotry searches. Culverthorpe and Kelby fall under a different district governance. Contact the North Kesteven District Council. Bastardy cases would be heard in the Sleaford petty session hearings every Monday. Care of the poor dates back to at least 1756 when John HILTON left the interest on £20 for their care. That charity lapsed in the late 19th century. In 1803 when the fields were enclosed, 500 acres were set aside to raise funds for the poor. As a result of the 1834 Poor Law Amendment Act reforms, the parish became part of the Grantham Poor Law Union. Heydour had a school long before many other parishes. It was rebuilt in 1835, but no records retained from that earlier time. The school was enlarged to seat 150 children and converted to a Public Elementary School in 1885.